Standard car insurance policies run for 12 months, at the end of which your policy will either be auto-renewed or you can switch to another provider to keep your costs as low as possible. But what if you don’t need a whole year’s cover? In some situations you may want to borrow a car or drive someone else’s car on a one-off basis but you won’t be automatically covered to do so. That’s where temporary insurance can come in handy. If you need to drive a friend's car you could choose to be added to the person’s insurance policy as a named driver, but in many cases this will not be the cheapest option. And if you need to make a claim, this will affect the policyholder’s no claims bonus, which could make it more difficult for them to get cheap insurance in the future. Another possible option is to use ‘driving other cars’ cover if it’s included in your own insurance policy. This add-on used to be a common feature of insurance policies, but fewer insurers now offer this. Plus it’s usually only for third party cover so will not pay out for the car you are driving if you are involved in an accident. Check your policy carefully to see if you have this cover included on your own insurance policy. Temporary insurance is an affordable alternative to hiring a car, if you have a friend or family member who is willing to lend you theirs. You can also use a temporary car insurance policy to drive a new car home. Most new car dealers will include some type of short-term insurance policy, but you’ll need to remember to arrange insurance cover yourself if you’re buying a used car privately. Temporary car insurance is great in this situation as it allows you to transport the car home while leaving you some time to shop around for a good deal on your annual car insurance policy. Some insurers also offer temporary insurance for vans, so if you need to borrow a van for moving house or similar, taking out a short-term insurance policy could work out cheaper than overall hire costs. If you do choose to hire a car or van, it’s unlikely you’ll need to take out a separate temporary insurance policy, as cover is usually included as part of the hire price. However, many hire companies only offer third party cover as standard, so you may choose to take out a short-term policy as well. Temporary insurance policies usually offer comprehensive cover, so if there’s an accident you will be paid out for damage to the vehicle you are driving as well as any other vehicles involved. Temporary cover is also a good alternative for learner drivers, as they can take out their own short-term car insurance policy on a friend’s or family member’s car while they learn — and it won’t affect the car owner’s no claims discount in the event of an accident. 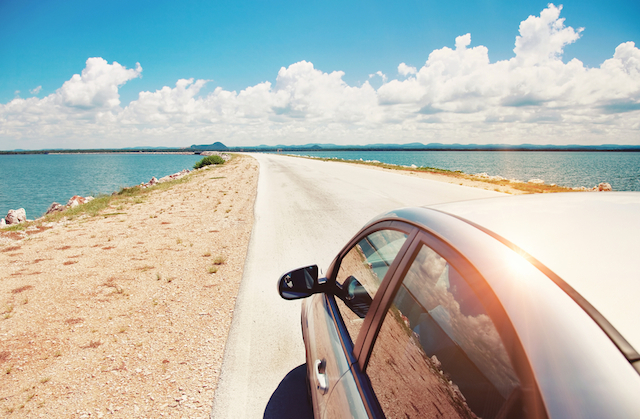 Temporary insurance policies are also great for driving a car abroad — whether you’re borrowing a car for a short break or you want to share the driving on a road trip with friends or family. Some short-term car insurance policies will include cover for driving in the EU (but you should check the policy details carefully to see if this is included). Can everyone get temporary car insurance? You’re likely to see more quotes if you have several years’ driving experience and a full UK licence, but there are specialist providers out there that offer temporary car insurance to those with less experience or different licence types, and other providers that cover learner drivers. If you have points on your driving licence, previous motoring convictions or a history of several insurance claims, you might find it difficult to get temporary insurance cover, but it’s worth shopping around as some providers will be happy to cover you. Most insurers also apply limitations on the value of the car, and will usually cover drivers for cars worth up to £50,000. Temporary car insurance can be an affordable alternative to hiring a car. The cost will vary depending on how long you want to be covered, your licence type, your postcode, and how much experience you have behind the wheel. Remember that like a standard insurance policy, you may have to pay an excess in the case of an accident. Your insurer will usually ask you how much excess you are willing to pay so they can give you a tailored quote. You can usually get cheaper cover by opting to pay a higher excess, but make sure you can afford to pay it if you need to make a claim. To compare or purchase a temporary car insurance policy you will need permission from the car owner, as well as the car’s registration number (or details of make and model if you don’t know this), details of your licence and driving history, and personal details including your name and address.